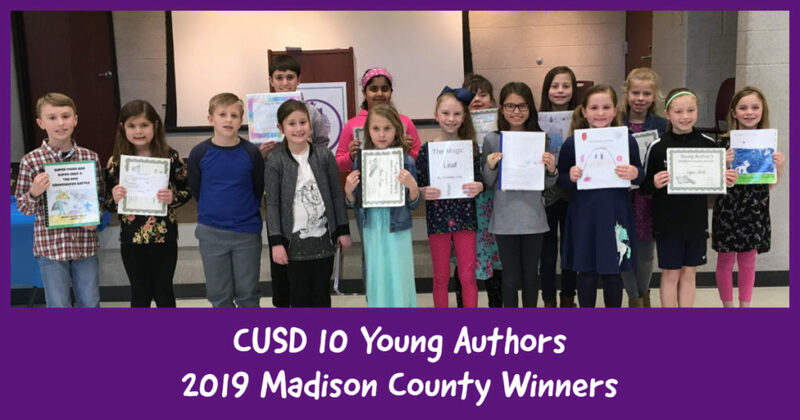 Collinsville Community Unit School District #10’s finest K-8 writers were celebrated at the annual Young Authors’ Tea at Collinsville Middle School on March 26, 2019. Maryville Elementary Principal Carmen Loemker hosted the event that featured CUSD 10 Superintendent Dr. Robert Green as the special guest reader. Dr. Green shared the book It’s Not Easy Being a Bunny by Marilyn Sadler. Mrs. Loemker thanked Dr. Green, who is retiring after this school year, for his commitment to children. Following the award certificate presentation, the Young Authors and their guests enjoyed refreshments. 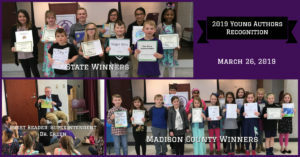 Madison County winners are invited to attend the 2019 Young Authors Conference hosted by the Madison County Regional Office of Education on April 27th. 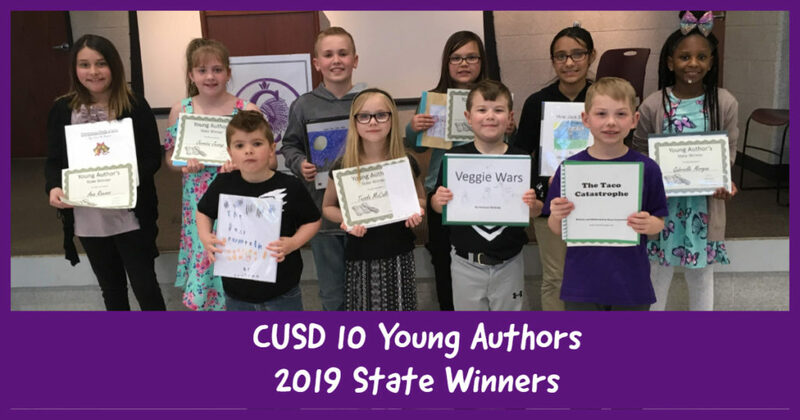 State winners can attend the 45th Annual Illinois Statewide Young Authors Conference on May 18, 2019 at Normal Community West High School in Normal, Illinois.